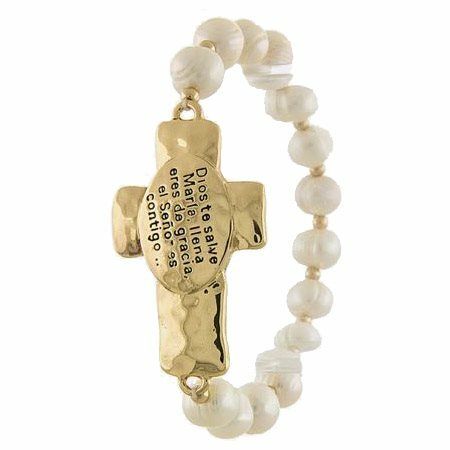 This gorgeous bracelet reads the Ave Maria prayer in spanish. When you wear jewelry filled with faith, you will always remember through thick and thin that God is by your side and everything is happening for a greater reason. This bracelet is stretchy and fits most wrists. This bracelet is my favorite bracelet right now. 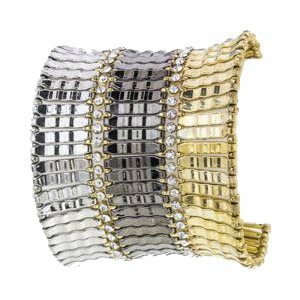 It is so versatile because it has gold, silver and hematite in it matching pretty much any piece of jewelry. You can wear this during the day or at night to a dressy event. I've been getting so many compliments on this piece it's crazy! Wear it with a cute ring to complete the look. This may be too big if you have a super small wrist. 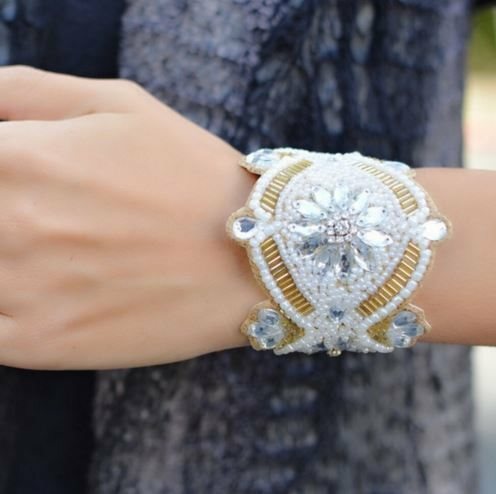 Get ready to bring in the holidays with this adorable and dainty cuff! This Christmas themed bracelet is perfect to give for a holiday gift or to wear to any outing! Recommended for medium to large wrists as it will slip and slide a bit! 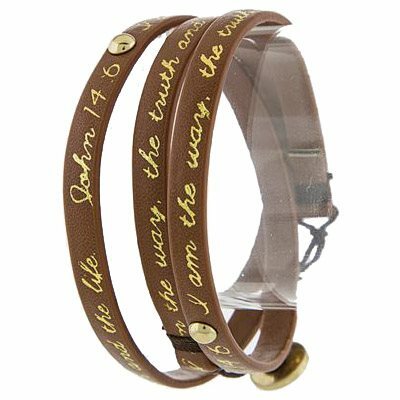 This gorgeous inspirational brown wrap bracelet reads, “I am the way and the truth and the life. No one comes to the Father except through me." 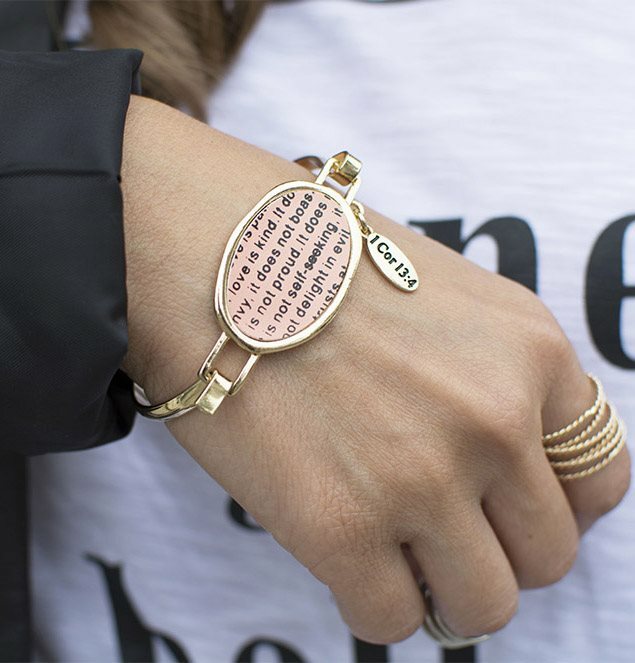 Wear this bracelet everyday to remind yourself to have faith and to believe! International orders outside the US please email info@tanyakara.com to place orders. Love Dogs? 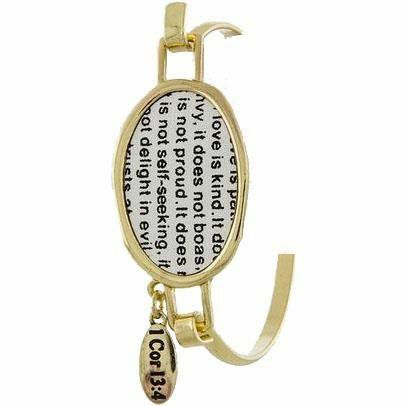 This dog charm bracelet is perfect for you! There are several different breeds of dogs on each charm of this bracelet. So unique. Get this for yourself or a dog lover you know. It is a guaranteed hit! International orders please email international@tanyakarajewelry.com to submit your order. Thank you! 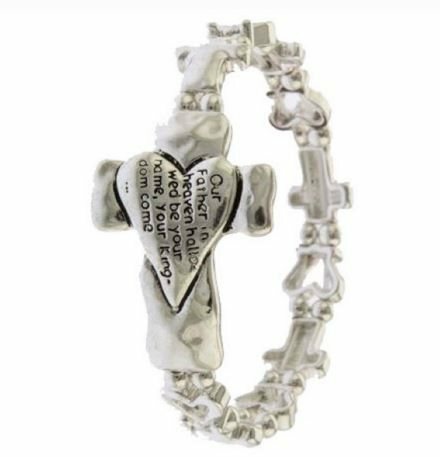 This gorgeous silver stretch bracelet reads, "Our Father in heaven hallowed be your name, Your Kingdom come..." and helps you stay inspired with faith. Wear this during the day or at night! Versatile and gorgeous.